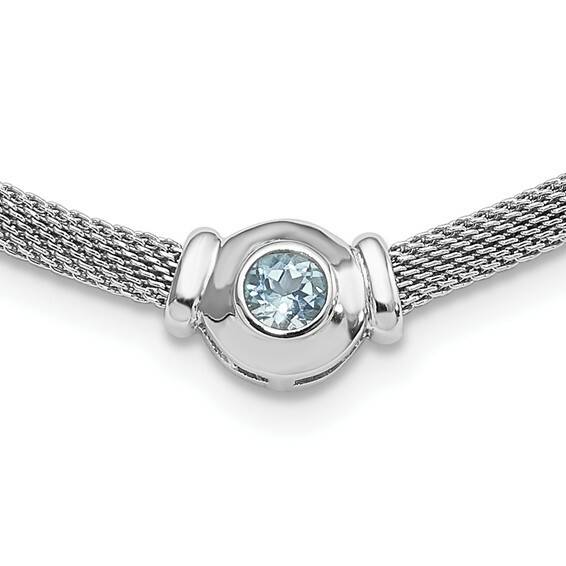 Polished, hollow sterling silver mesh necklace. 1 x 5mm round genuine blue topaz. Length: 16in. Weight: 11.3 grams. Fancy lobster clasp. Made in the USA.